This wall art is needle felted with alpaca and wool over a recycled burlap coffee bag. 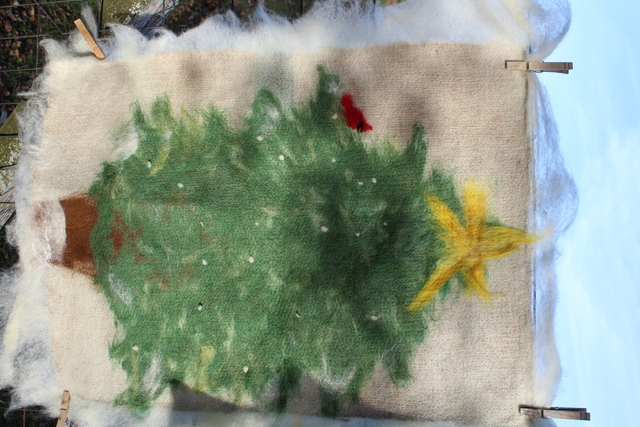 The design is laid out by hand and then it is felted on the FeltLoom felting machine. I will make a custom wall hanging for you. If you have something in mind contact me to discuss.